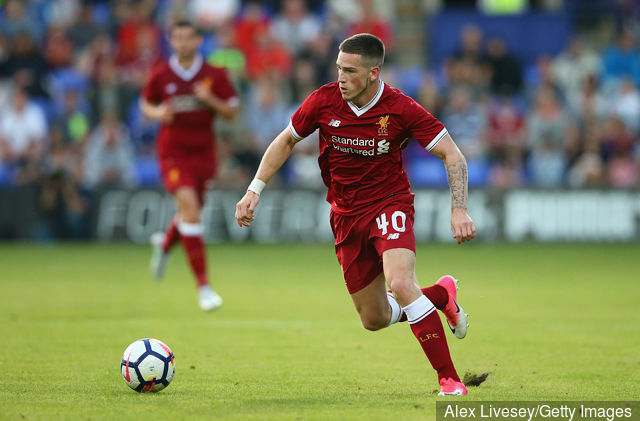 It appears that Rangers have beaten off Blackburn Rovers in the race to sign Liverpool winger Ryan Kent on a season-long loan deal, but who will be the eventual winners from this outcome? If he plays brilliantly and becomes a first team regular, we will be the victor, and if he fails to make it at Ibrox, Blackburn will have won out on the deal. He has undoubted talent and apparently his potential is enormous, but will he fulfil part of his promise performing in front of 52,000 ‘hard to please’ ‘Gers fans every other week? No one knows more about 21-year-old Kent’s ability than our new rookie manager, due to him coaching the lad when he was the Liverpool’s U18’s manager/coach. If Gerrard is keen to bring him to Ibrox he must be confident that Ryan will be a big success, or is he under estimating the standard of the SPL’s defenders? In season 2015-16 when he was only 18 and was loaned to League One team Coventry City from September to January and managed to play in a very respectable 17 matches in the successful 4-month-youth-loan-deal. The 19-year-old winger played 47 times for Barnsley in the 2016-17 Championship season, and Ryan was deservedly named as Barnsley's Young Player of the Season. On 10 Aug ‘17, after an impressive pre-season, Jürgen Klopp asked Kent, now an England U20’s internationalist, to sign a new long term contract to stay with Liverpool. Other top teams were hoping and eager to steal him away from Merseyside, but Ryan was happy to stay with the team that has looked after his progress since he joined the club at only 7-years-old. Within days Ryan Kent was on his way to join Bristol City on-a-4-month-loan-deal playing for the Championship side, and made 11 appearances during that period. It is evident that his recent loans have not been impressive, and Gerrard will be hoping to nurture the best from him in Govan. Kent has been in terrific form during Liverpool’s pre-season games, but with all the huge money new signings at the club, the Anfield side couldn’t possibly fit him into their starting X1, so Klopp trusts Gerrard to play Ryan as often as his play merits him playing in the Rangers first team. Jürgen wants him back at Liverpool next year as more experienced first team player who could make a challenge to some of the extravagant signings Liverpool make every year. Gerrard has now made ten new signings with a left-sided tall centre half hopefully still to come. The former Liverpool captain has secured season-long loan deals for Reds midfielder Ovie Ejaria and winger Ryan Kent, but are they going to propel Rangers to the new heights we need to reach if we are to win any trophies this season? That is another question entirely. Gerrard has also signed Jon Flanagan on a free transfer following his release from Liverpool, which is looking to be very good business. 99% of all the first team background staff are ex-Liverpool coaches plus the new doctor which should all help to keep the new boys happy to work in Glasgow. But we must wonder if signing Kent is the result of failing to secure a deal for Gerrard’s first choice winger, Harry Wilson? I'm eager to see if there's a clause in the contract that says if there's a fine if we don't play him like Bristol City had! ...should have made more effort for Bartley! And one of them should not be Moult!